One of my favorite things to do during the Holiday season is to make hot chocolate! A rich, warm drink is the perfect paring to all of the festivities this time of year. Whether you are entertaining, or just enjoying time at home, it's always nice to have some hot cocoa ready to make. We make hot chocolate so often that I had to put together a bar cart this year- it's easier than ever now to make my favorite drink whenever I want it, and to share a cup with friends and family. 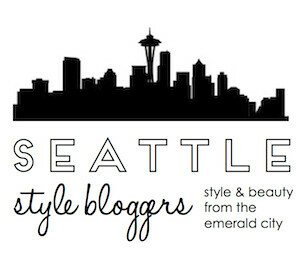 If you don't have a bar cart yet... go get one! What are you waiting for? We get so much use out of ours that we even purchased a second! Bar carts are the best for setting displays that you might want to have in several rooms of your home. I have a few of my favorite bar carts linked below, including the two that I own! 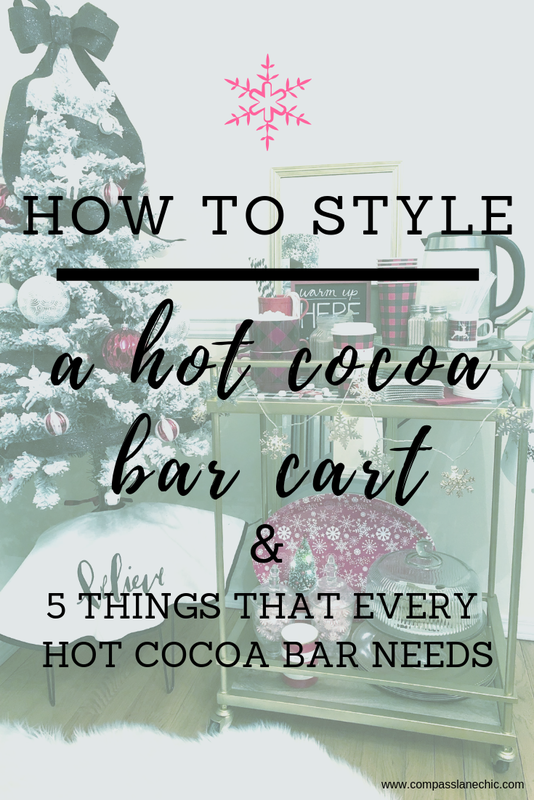 I set this bar cart for hot cocoa to be shared during our family Christmas party this year- and I'm sharing with you 5 things you need for your bar cart to make the best Hot Chocolate Bar! Cute cups and mugs are essential to a hot cocoa bar setup! I have both travel cups and regular mugs available at our bar. Space is limited when you set up a bar cart, so stacking style mugs are a perfect solution to limited space with maximum serving capability. This is one of the easiest opportunities to add pattern and color to your bar cart too, so pick something fun! My life has changed ever since we purchased this electric kettle! I think it boils water in like 15 seconds? This alone has improved my entire hot chocolate experience this year. I always keep water in mine and whenever I or someone wants a cup we turn it on. By the time we have put cocoa powder in our mug and decided what toppings we will enjoy the water is ready! Candy canes are a great compliment to hot cocoa, but marshmallows are in my opinion the best topping. Supply a variety of types for a fun touch- mini, holiday shape, flavored... the more the merrier! I like to fill shakers with powdered toppings like cinnamon and vanilla too. Everyone associates lights with the holidays, so lights make every hot cocoa bar more festive. I draped my snowflake lights across the front of my bar cart, but you could wrap the cart in lights or drape them around all over if you wanted! Additional holiday decor is what really pulls the hot cocoa bar cart together. Try incorporating a tree with coordinating ornaments, candy jars, cookie plates, towels, candles, even decorative boxes. Have fun putting your hot cocoa bar together and make it a part of your holiday home decor! I am leaving our bar cart up all season next to our matching tree. Here's a few of my top picks for bar carts and hot cocoa bar supplies!